Internal GPS and proven rescue technology: The GlobalFix™ PRO broadcasts a unique registered distress signal that not only tells rescuers where you are, but who you are. The internal GPS will automatically turn on and acquire your position upon activation and then utilizes a powerful 406 MHz signal to relay your distress call to orbiting satellites. As local Search and Rescue is deployed, a separate homing signal and integrated LED strobe light guide rescuers to your exact location. 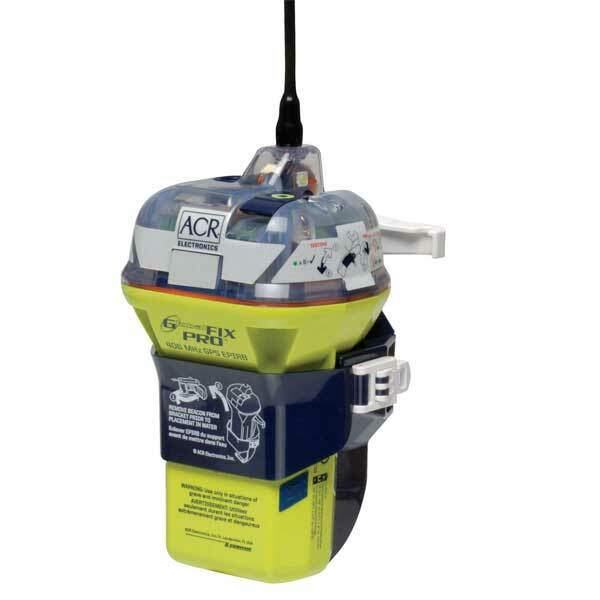 Full self-test program: Performing a full functional self test of the GlobalFix™ PRO internal circuitry, battery voltage & power, and 406 MHz transmission gives you the peace of mind knowing your EPIRB will work the moment you need it the most. ACR Exclusive: Built-in GPS acquisition test mode allows you to test the internal GPS receiver to ensure it’s working properly.